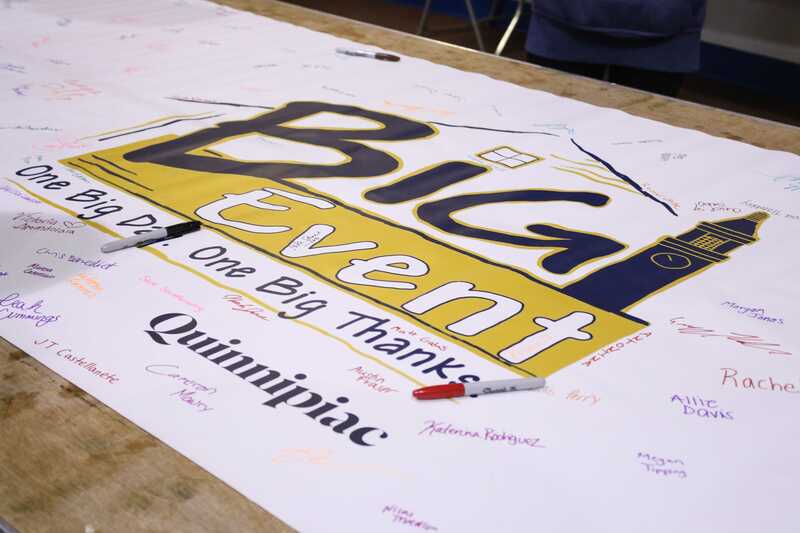 Quinnipiac held its ninth annual Big Event on Saturday, April 7. As one of the largest on-campus events held at Quinnipiac, hundreds of members of the university community come together, including undergraduate and graduate students, faculty, staff and alumni, to give back to the surrounding communities through participating in a variety of different service-oriented projects. The Big Event began 36 years ago at Texas A&M University, and has grown to be the largest one-day, student-run service project held throughout the nation. Quinnipiac’s version of the Big Event was founded in 2010 by Jen Walts, the Vice President of Public Relations for the QU Student Government Association. Now, eight years later, the Big Event is extremely successful and continues to increase in size each year. 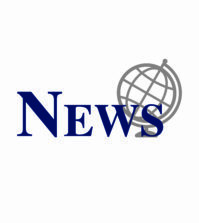 In order for the Big Event to take place, the Quinnipiac community had to become involved and had to be willing to help out their surrounding communities. 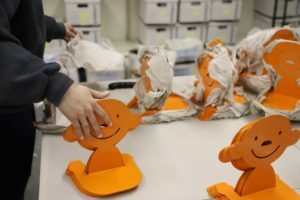 “[The Big Event team] breaks everything down from reaching out to the Quinnipiac community to encourage them to volunteer, to reaching out to all of the non-profit sites across Connecticut to see if they are in need of a helping hand,” Co-director of the Big Event and Senior, Katharine Wilcox-Smith said. 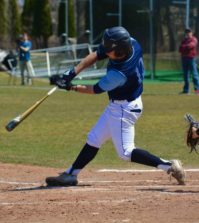 The opening ceremony began at 9 a.m., which consisted of a variety of different speeches, one given by Quinnipiac University’s own President John Lahey and another by the co-directors of the event. 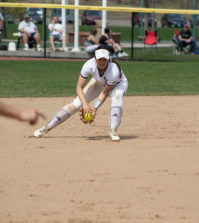 All teams left for their sites at approximately 9:30 a.m. Around 1:30 p.m., teams should have already departed their site locations to come back to Quinnipiac University, allowing for them to have spent around three hours at their site doing a variety of service oriented activities. To increase participation for the Big Event, student organizations are encouraged to have a few teams of their members register. For Greek organizations, the Office of Fraternity and Sorority Life has implemented Big Event as one of its Greek Week activities. Even though it is not one of the bigger events within Greek Week, it is a popular one that gets a lot of participants from the Greek community. Not only do Greek organizations participate, but other groups do as well, and even get to utilize skills that make their organization unique on campus at their sites for the Big Event. With the help of student organizations, this year the Big Event got approximately 1,600 undergraduate and graduate students, faculty, staff and alumni to participate. However, to get this much participation it takes a lot of work from the Big Event team. The process of planning the Big Event takes a full year, beginning immediately after the event occurs, by an executive board that consists of 16 people. This year the Big Event was co-directed by Katharine Wilcox-Smith and Rebecca Fuchs, who oversee the 14 other co-chairs. Underneath the executive board, there are two committees to continue the help of planning and running the event. These committees are made up of seven people, adding an additional 14 students to the group that puts on the event. For example, Erika Conaci, who was the Alumni/Faculty Co-Chair, was in charge of contacting the participants who were not current Quinnipiac students. When it comes down to the few weeks leading up to the Big Event, the event staff has to start focusing on the logistics of the event itself. Based off of where the team is going for their site, the Big Event staff assigns them to a color section for sitting during the ceremony and provides them with the tools necessary to complete their project. Throughout the time at the site, the staff stays in contact with the team captains and the sites to ensure that all students get to their site locations safely and complete their projects. With the amount of participation and hard work that the Big Event Team put in, this year’s Big Event was one of the most successful yet.